In June 2014 Sakson Drilling & Oil Services began a drilling project for its Algerian client Sonatrach AGIP. For this project, scheduled for completion over the course of one year, with one year optional, Sakson deployed its 2000HP land rig, SK 603. Along with its experienced crew, SK603 completed the first year to a high standard reaching a maximum depth of 4500 meters. 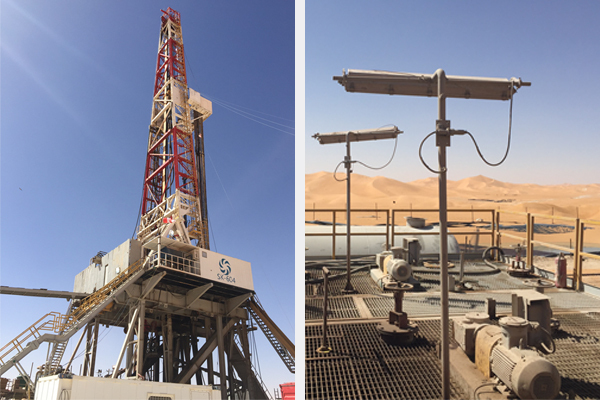 This project for SK603 and its crew is yet another example of Saskon’s ability to deliver top quartile drilling services in Algeria. Sakson will continue to excel in the area by calling on country knowledge, a young fleet and skilled technical experts.